Order Pickers are ideal for assisting in a wide range of tasks including stock picking, high level maintenance etc. 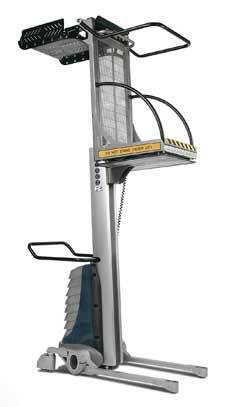 The people lifters are available in two height options of 1800mm and2400mm to foot level. All the relevant safty features are built into these people lifters as you would expect. Additional information: Manoeuvrable – Ideal for tight places. Manually propelled – Safe in public areas. Safety – Stable at any picking height. Stylish – Will not look out of place anywhere.